Shayla! Shayla is a young Madisonian who blogs about life and running. Shayla is receiving a $25 gift certificate to Kiva, my favorite company. Kiva unites borrowers and lenders to help alleviate poverty. What I like about Kiva is the bottom-up approach. Borrowers have their own ideas about how to make money. We as lenders can help them realize their dream. No one guessed the correct answer of four days. Shayla was closest without going over, three days. I was shocked at how fast the tree was used up. I guess that’s why it’s good to keep statistics, not as easy to delude myself. Next winter I’ll stack a face-cord and see how fast that is used up. Thank you to all who guessed! 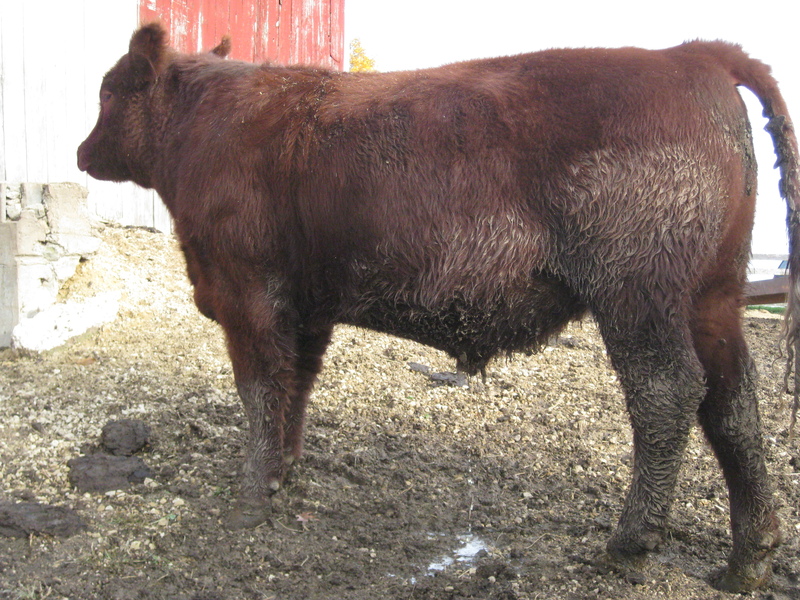 Selling or buying feeder cattle privately can be stressful and confusing. How is the price determined? Is the price on a sliding scale? Will the seller be giving any shrink? These questions and more all need to be addressed before a deal is made and cattle change hands. Taking your feeder cattle to an auction is easy. A price is made by open outcry, a check is written, and you have money in the bank, all in the same day. Using an auction barn is not without cost, though. Cattle have to be trucked to the barn. Cattle will have a weight shrink of 3-5 %. You will be charged a commission. The cattle may pick up a disease from the stress and the commingling with other cattle. We use both public auctions and private sales to sell our cattle. I will detail how we sell our feeder steers privately, usually in early winter. We usually have one or more parties interested in our feeder steers. We never play one party off of another. Instead, we give first chance at our steers to the party with the most seniority in buying our steers. We talk and tell them how big the group is. We decide about when we would like to have the cattle change hands. We are flexible and always willing to work with our buyer. Next, we have to come together on price. 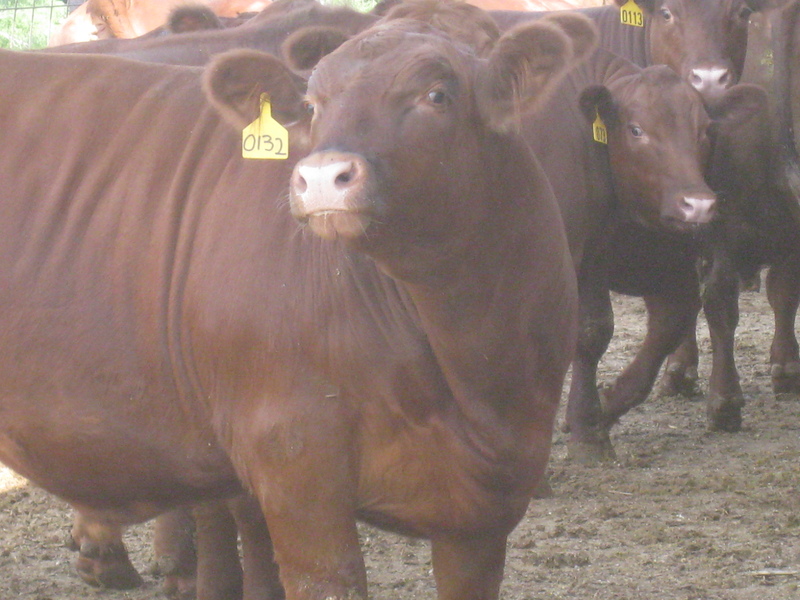 We estimate our steers’ weight to know what weight range to look at for prices. Since we sell about the same time every year our weight stays fairly consistent, (550-650 lbs.). We will look at prices in some of the national papers and on the internet to get a ballpark idea. Next my father and I will attend the best feeder calf auction in our area to find our local market. Last year we attended the auction with the farmer who was interested in our steers. We watch the auction for groups of steers that are similar to ours and write them down. So it looks like good, 600 lbs. steers are bringing about $97 per hundred lbs. We could establish this as our price, but we don’t know exactly what our steers will weigh. Almost always, price declines as weight increases. So the fairest way to price cattle is with a sliding scale. A good rule of thumb is a $10 change in price for every 100 lbs., so $5 for every 50 lbs. So if 600 lbs. is $97, 550 lbs. is $1.02, and 650 lbs. is $92. But when we look at the data, it appears that $10 is too much of a slide. It looks like an $8 change per 100 lbs. would be more appropriate. So 550 lbs is $1.01 and 650 is $93. If we sold our steers in this sale, this is our best estimate of the price they would bring. But this isn’t the price we quote to our buyer. 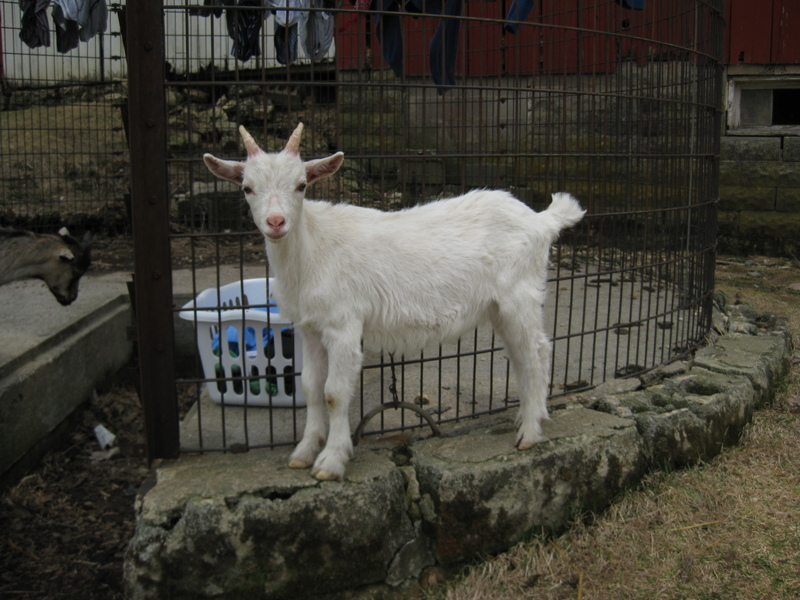 We figure an auction costs us close to $5 per hundred lbs. from increased shrink, commission, and trucking costs. To be fair to our buyer we reduce our price by $3 per hundred lbs. So the price we quoted was $94 at 600 lbs. with an $8 slide. We talk to the farmer who buys our steers and he usually says ok. The farmer is very easy-going but I’m sure he knows what cattle are selling for and he would know if our price was out of line. Other details of the sale include a 2% shrink. This is standard for privately sold cattle and is fair as cattle lose weight when they are transported. Trucking is usually the responsibility of the buyer when cattle are privately sold. We helped our buyer haul our steers because he couldn’t fit them all on his trailer. Now let’s see what actually happens on sale day. We call FS which has a certified scale and let them know we will be weighing cattle. Since we buy from them they don’t charge us for this service. We meet our buyer at the scales and each of us weigh our truck and trailer empty. We drive back to the farm, load 10 head on each trailer then drive back to the scale, weigh, then drive to his farm and unload the cattle. We then repeated this as we had 40 head to sell. Now we take the scales tickets and total the weight: 23,920 lbs. Next, we take off 2% shrink. Multiply .02 times 23,920 equals 478.4 lbs. Subtract 478 from 23,920 equals 23,442 lbs. which is our adjusted weight. Divide 23,442 by 40 steers equals 586 lbs. average weight. We will use this weight to determine our price based on the $8 sliding scale per hundred lbs. Subtract 586 lbs. from 600 lbs., which is our base line weight, equals 14 lbs. Multiply 14 lbs. times .08 which represents our sliding scale, equals 1.12 which is the dollars our base price needs to be adjusted. This is our new price based on a 586 lb. avg. weight. Lastly, multiply $.9512 times the adjusted total weight, 23,442 equals $22,298 total dollars for the 40 steers. Since we only do this once or twice a year it’s good to practice beforehand to get the rust off the brain. Our heifers are sold differently. 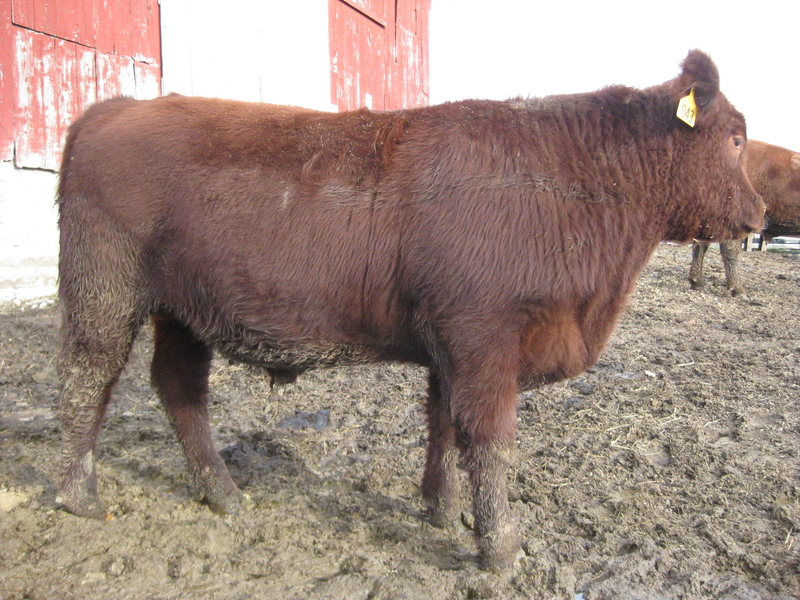 Most are sold as breeding heifers so we set a flat price such as $700 per head. Buyers get choice after we pick our replacements so it benefits the buyer to choose early. After the heifers are picked over we support our local auction barn by selling the rest there. Although many cattle are sold privately for good reasons, the auction barns are very valuable to our industry. They offer real price discovery, unite sellers with buyers, and enable producers to see how their cattle compare to others. You are currently browsing the archives for the Curious marketing category.